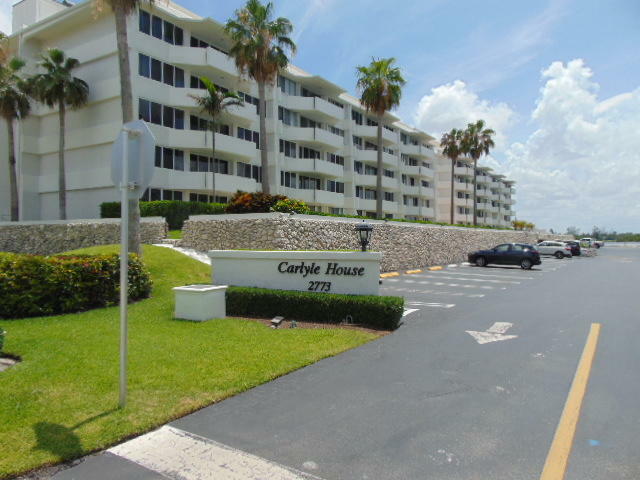 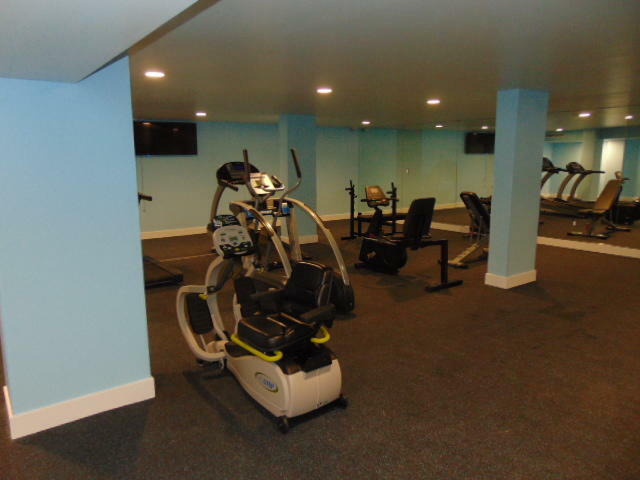 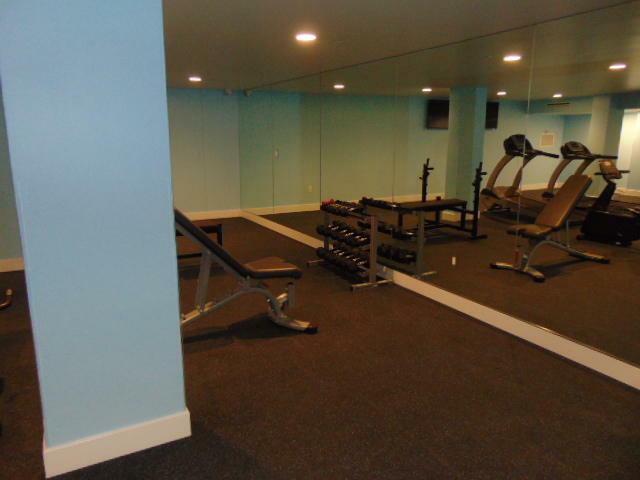 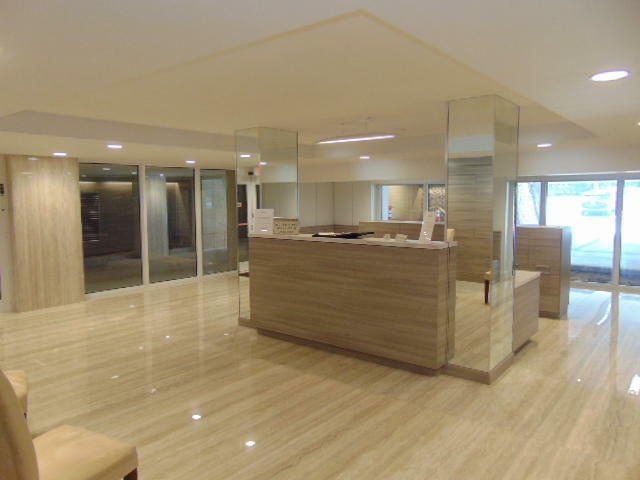 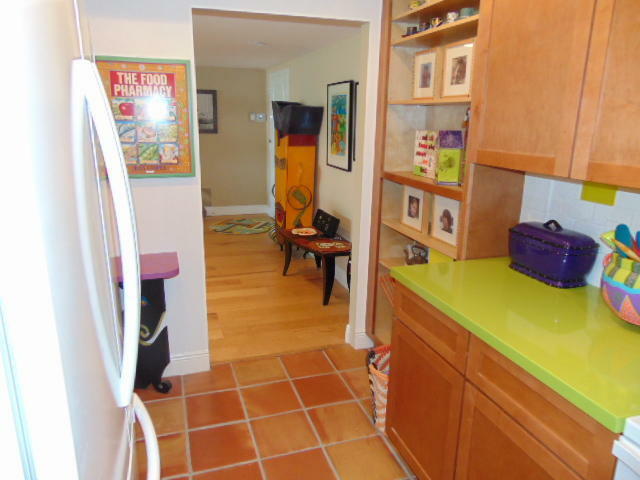 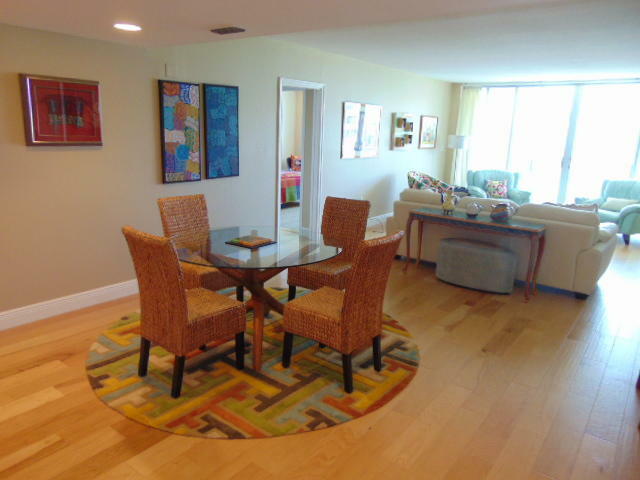 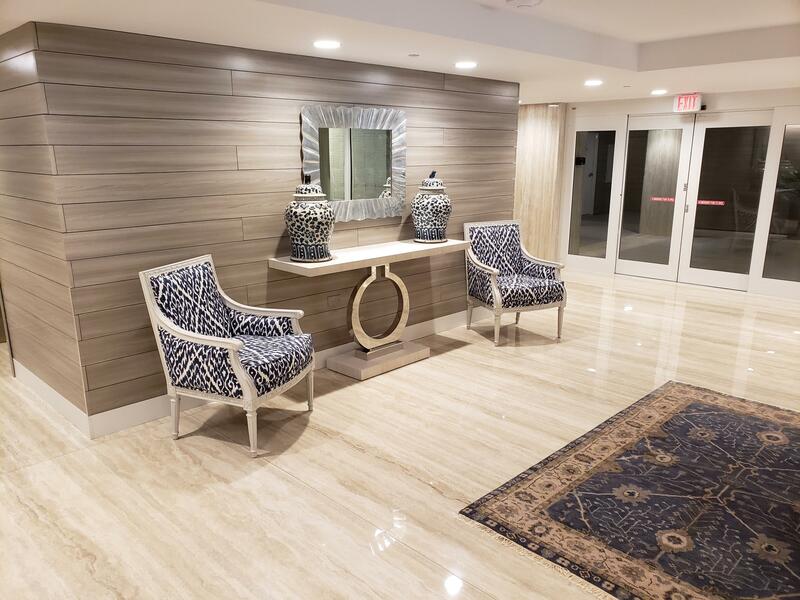 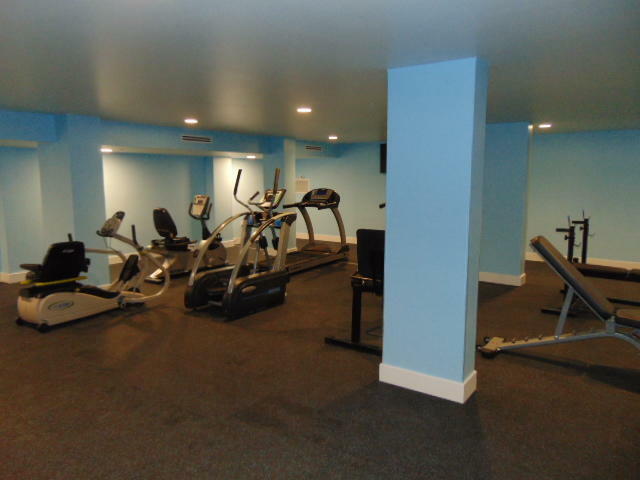 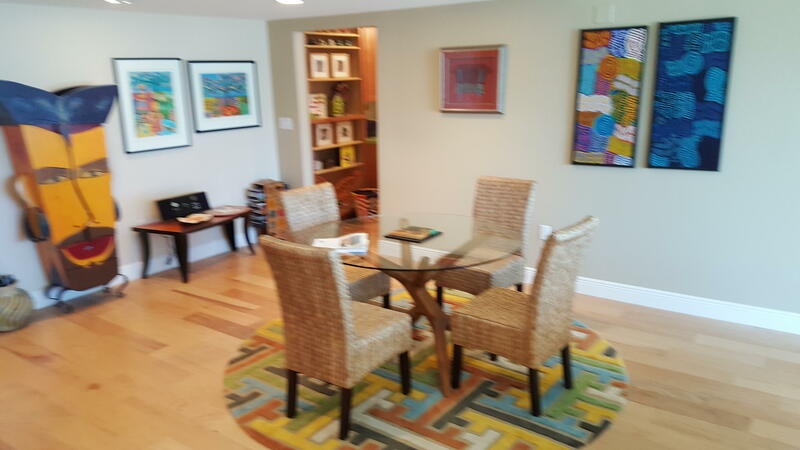 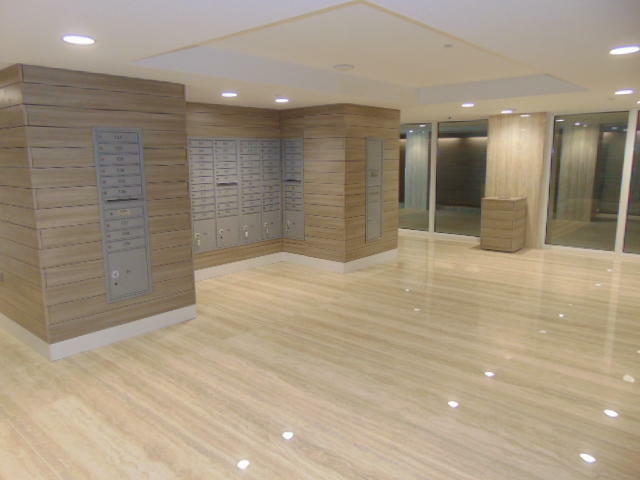 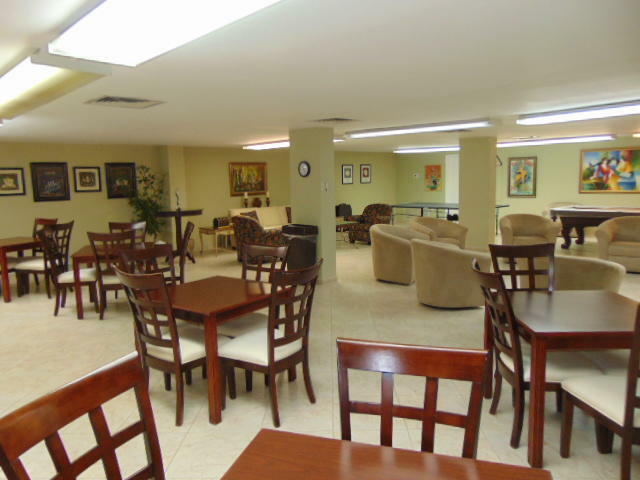 Recently renovated Carlyle House condo. 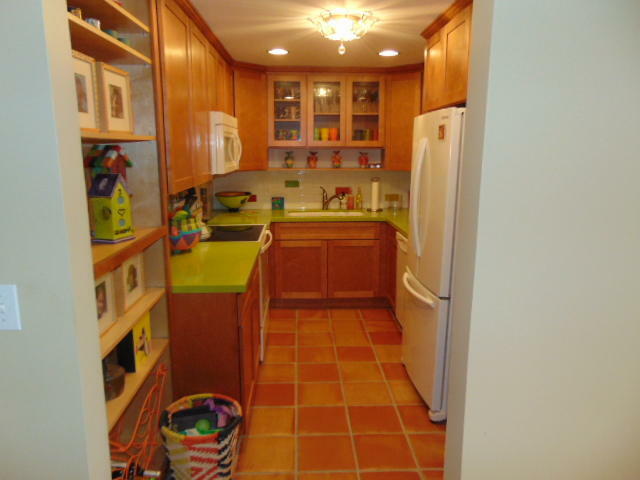 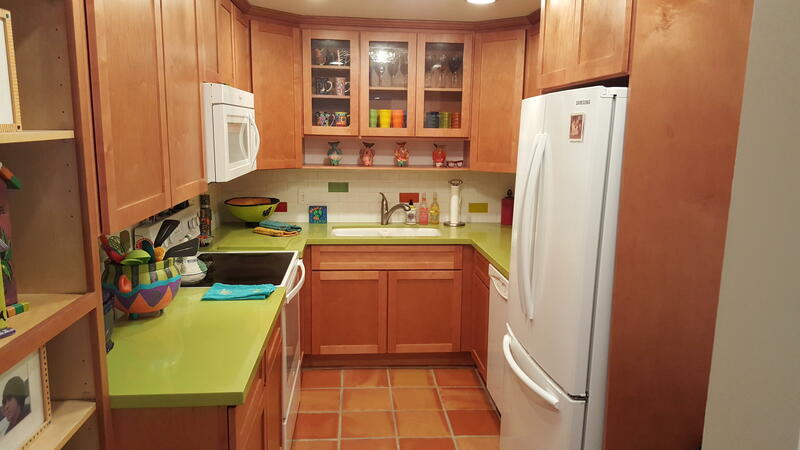 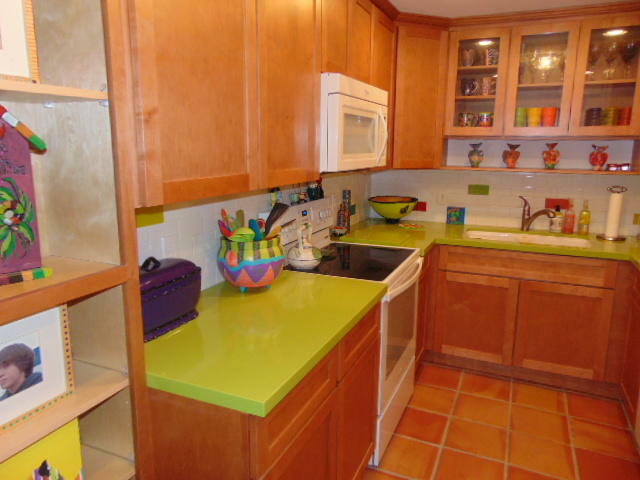 Redesigned kitchen with custom cabinets, silestone counters, subway tile backsplash, & counter depth refrigerator. 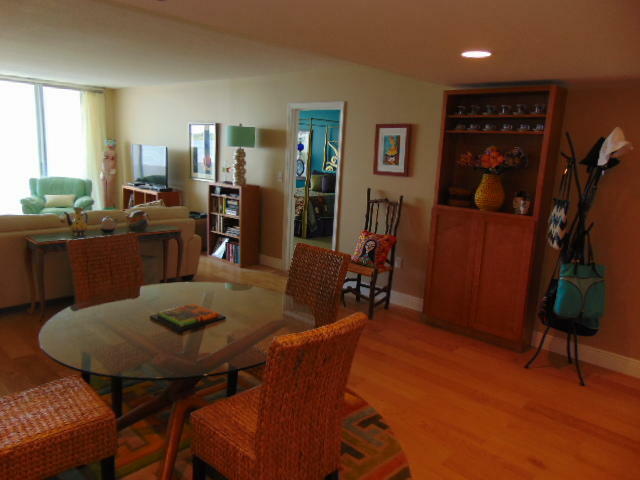 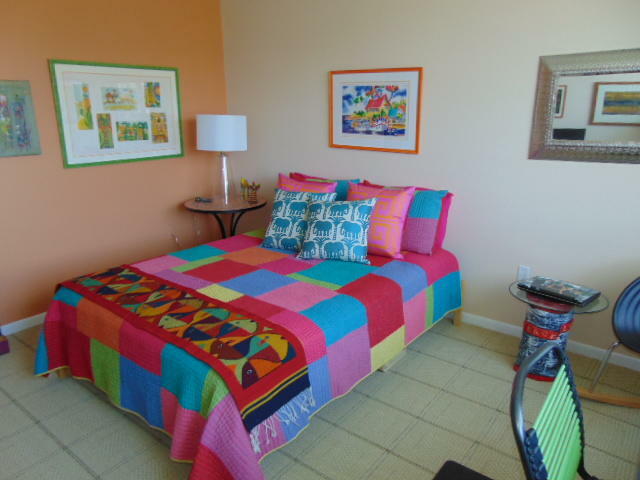 Beautiful wood floors in the living areas, sisal style carpeting in the bedrooms & custom designer paint thru-out. 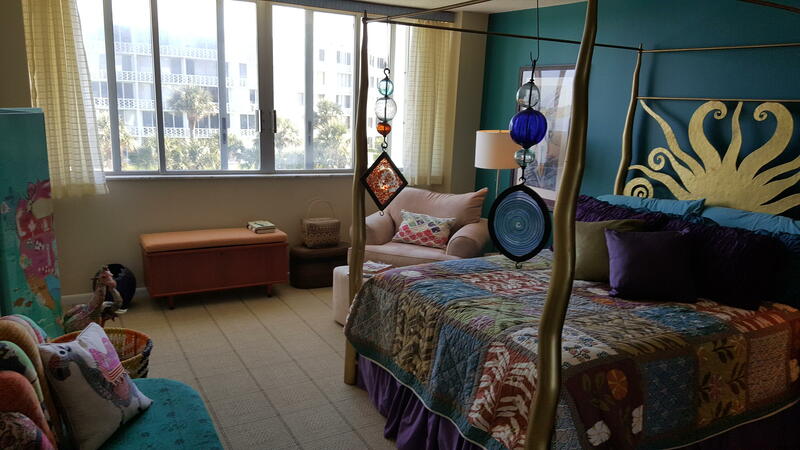 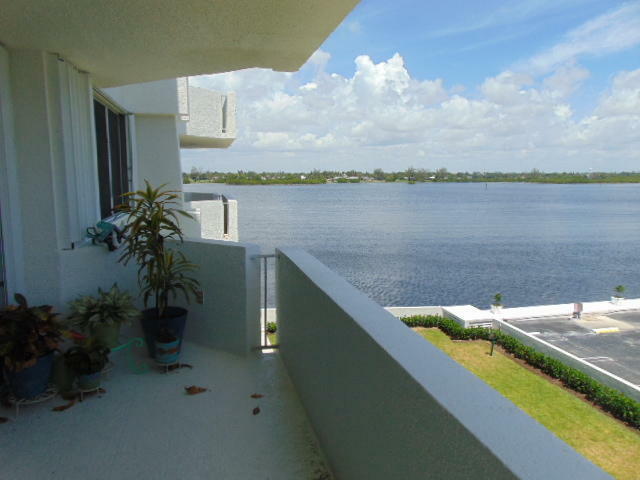 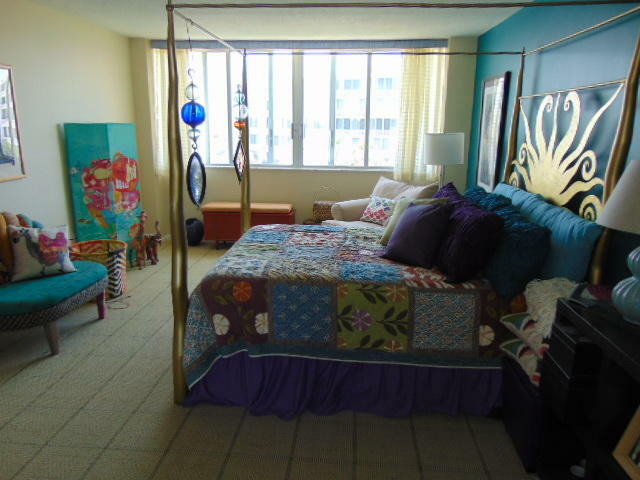 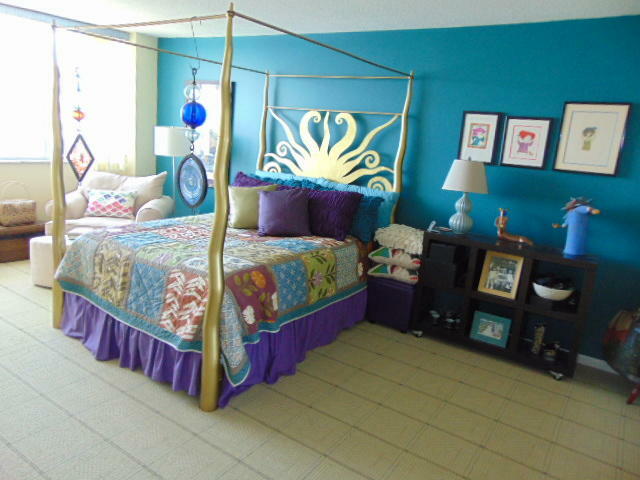 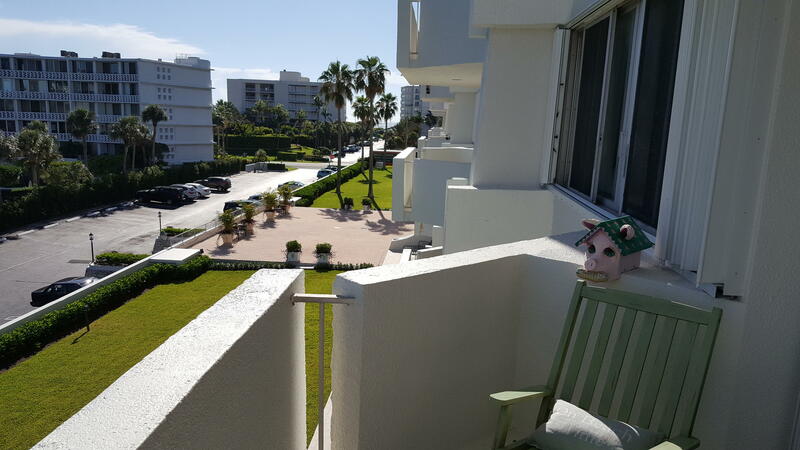 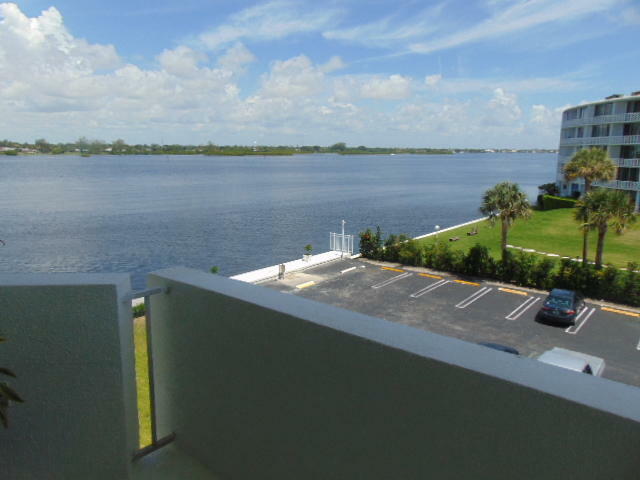 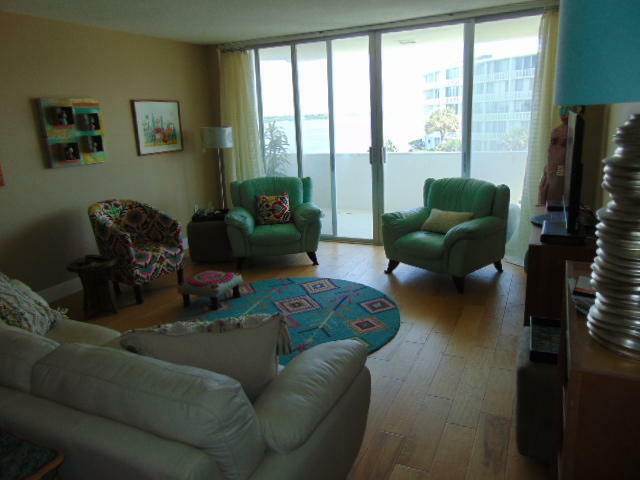 Enjoy the Intracoastal views from the balcony and both bedrooms. 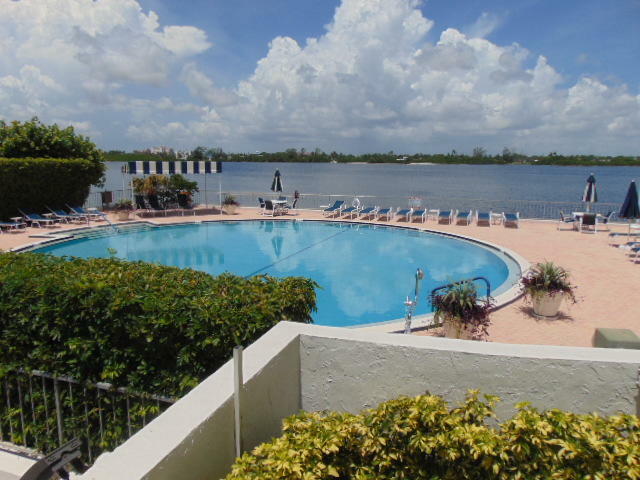 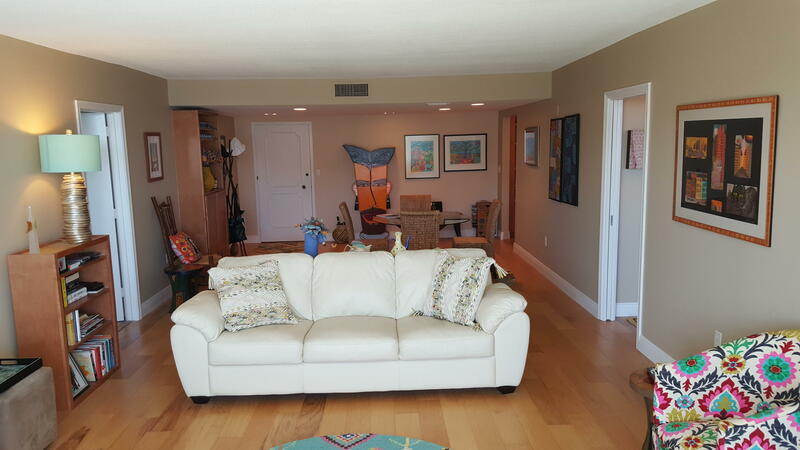 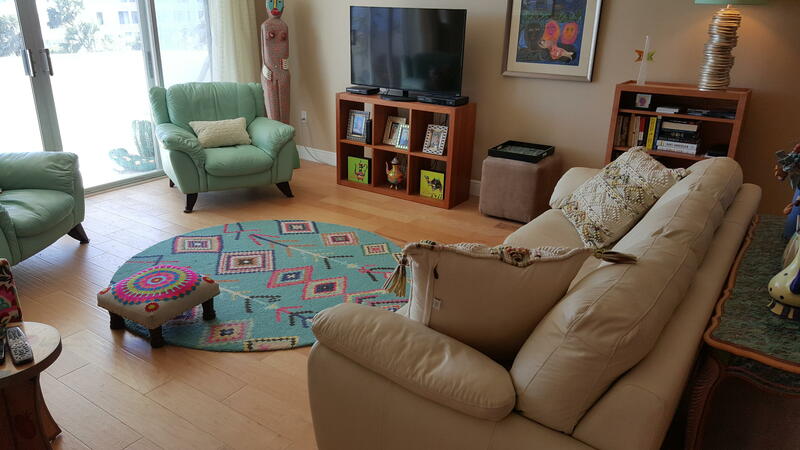 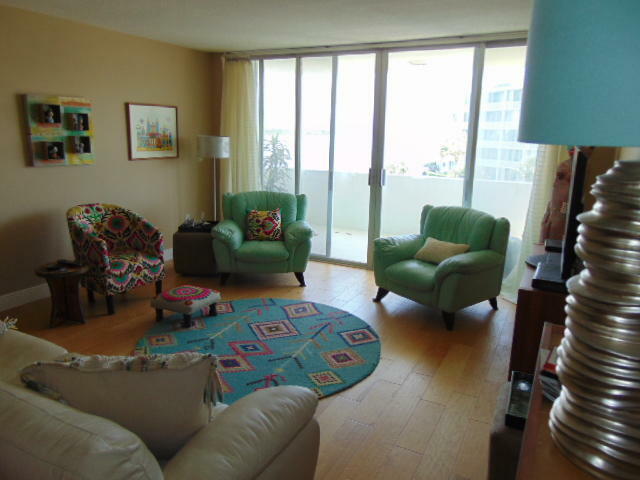 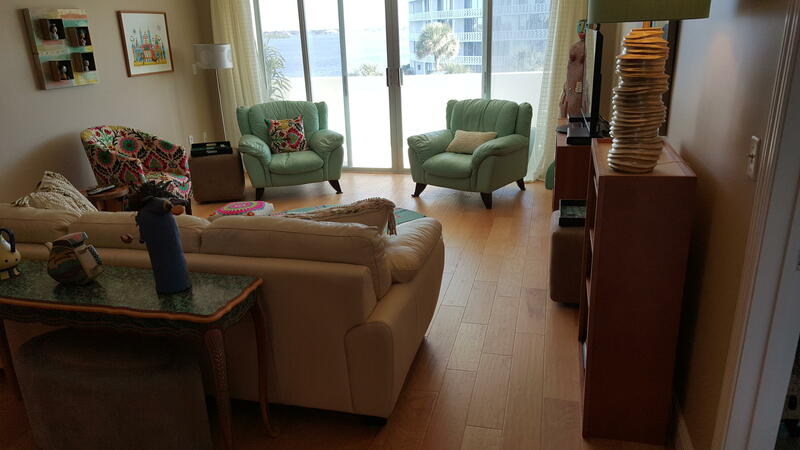 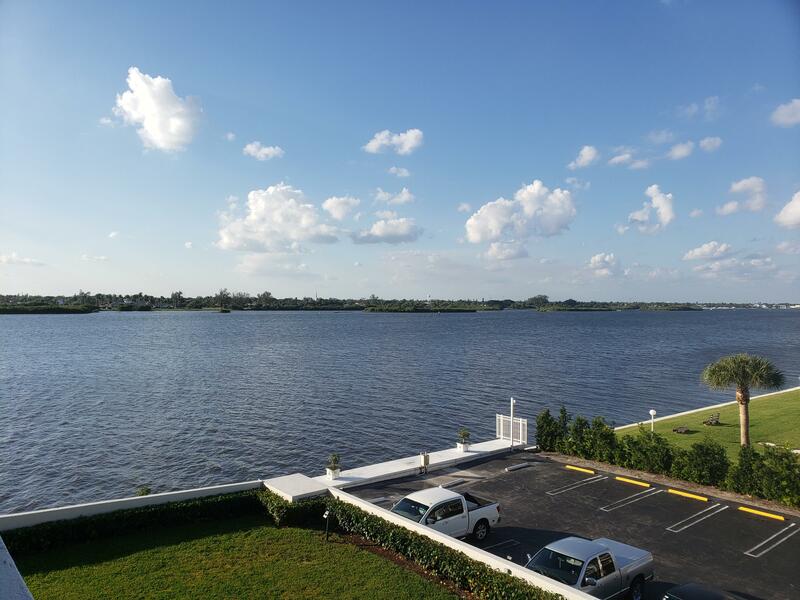 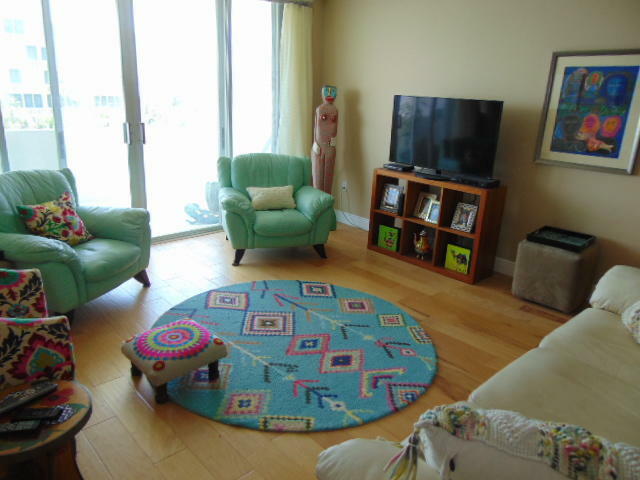 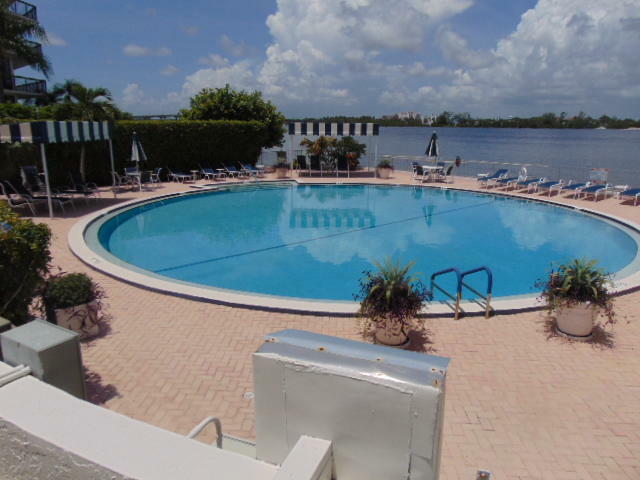 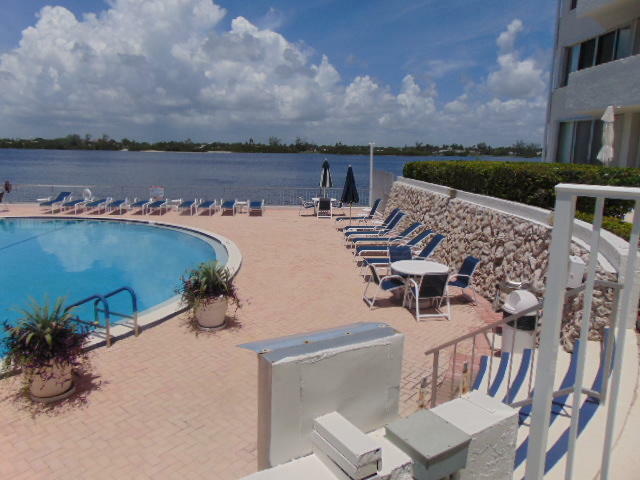 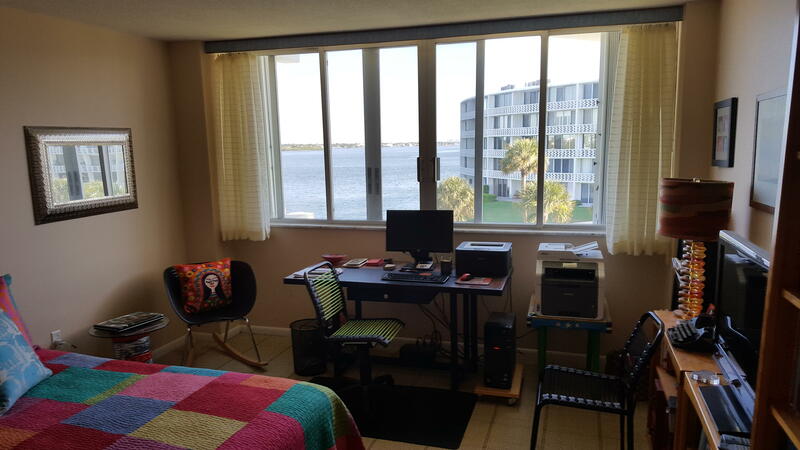 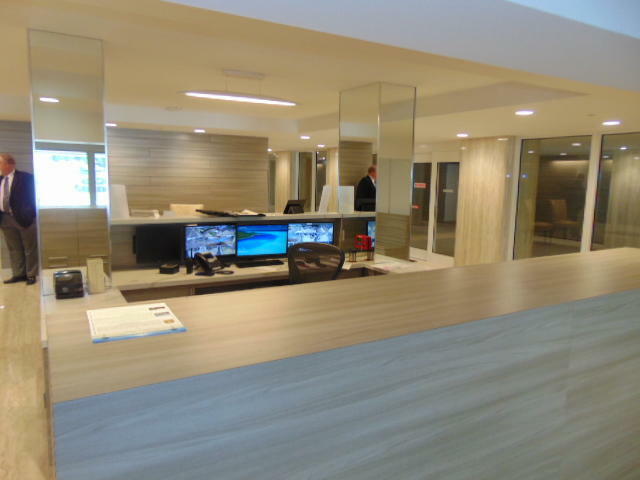 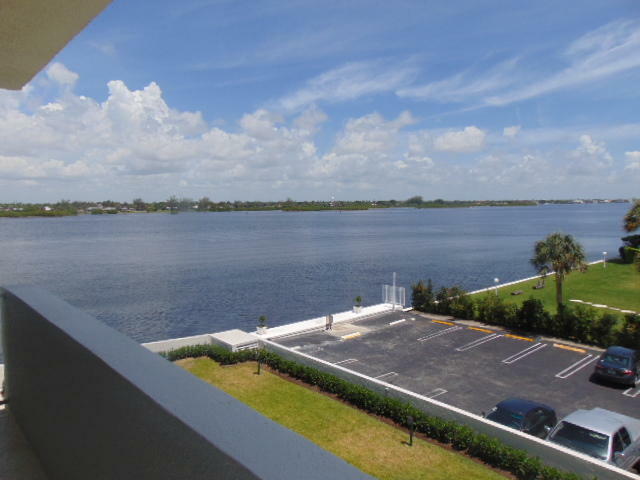 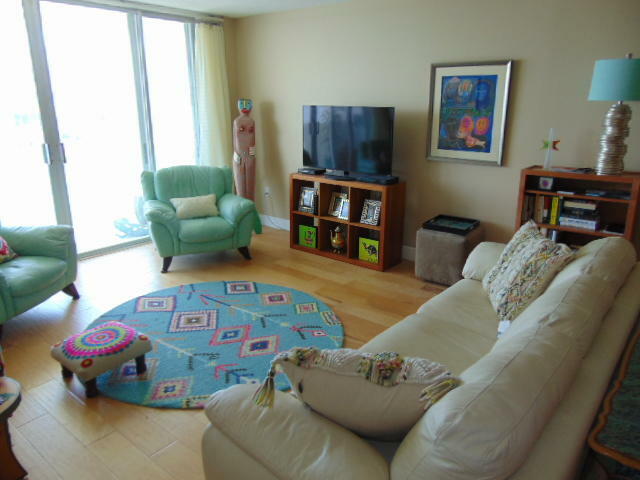 This unit is second best location in the building just one stack from the Intracoastal. 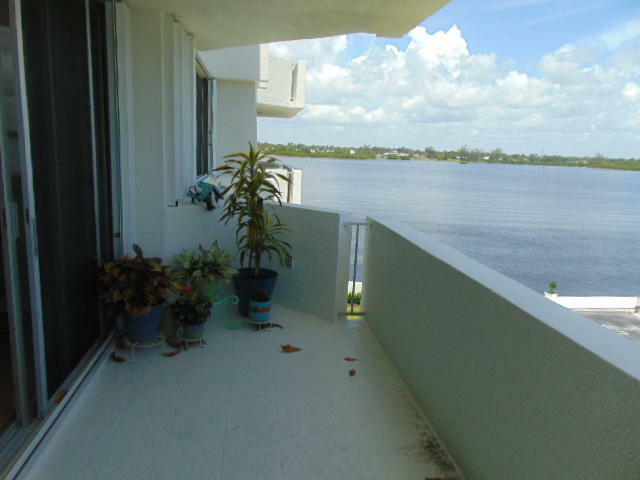 There is a large balcony off the living room to watch the boats go by. 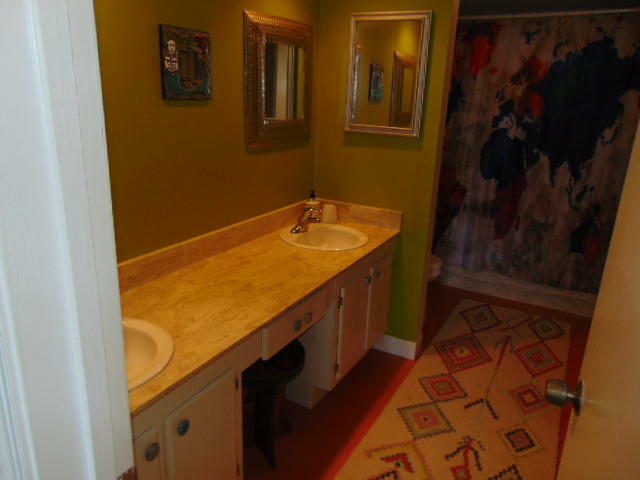 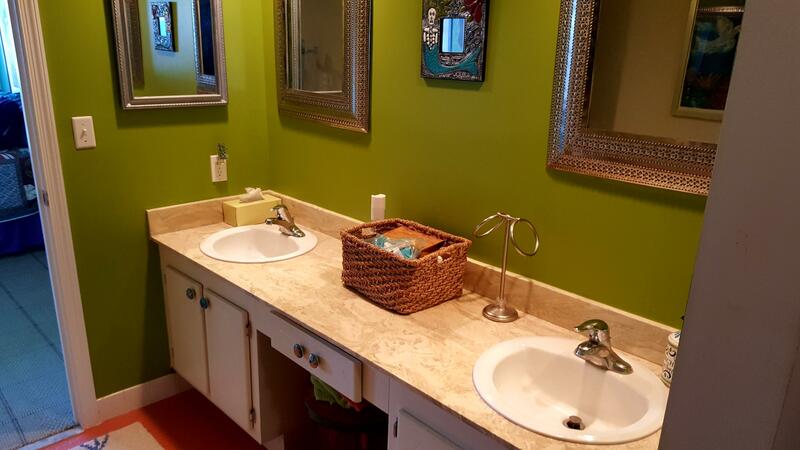 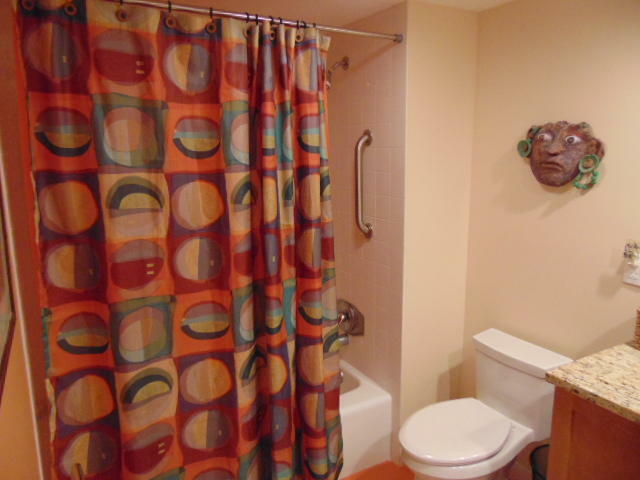 The master suite features a sitting area, bathroom with dual sinks, soaking tub, & large walk-in closet. 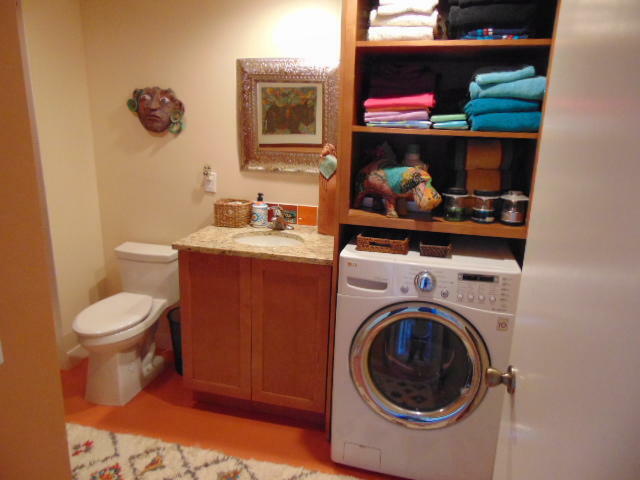 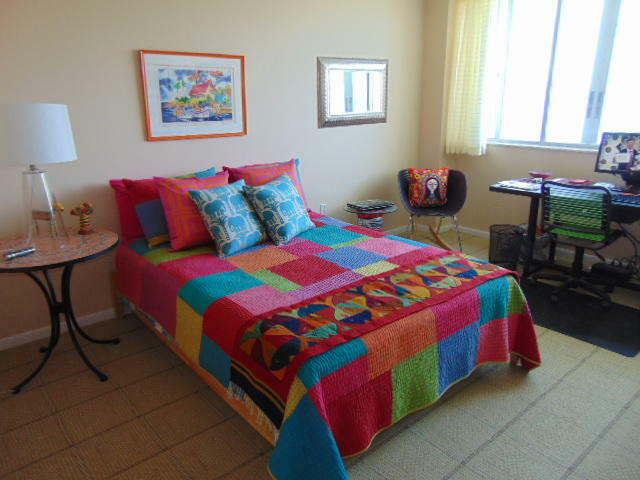 Guest room also has a large walk-in closet with the guest bath having a washer dryer combo. 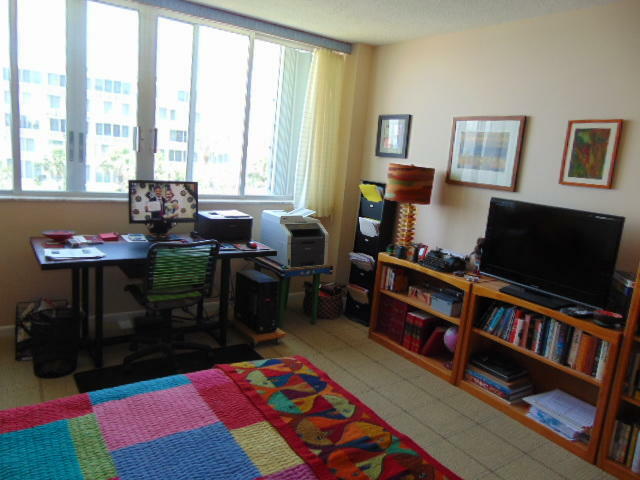 Plus new accordian shutters. 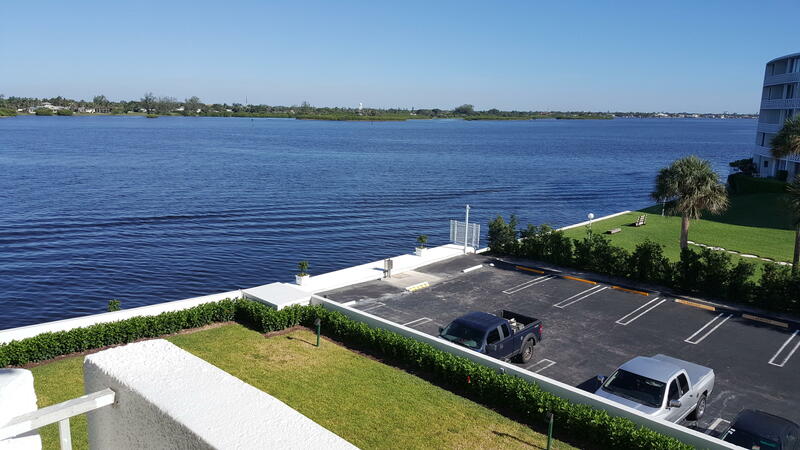 Best outdoor parking spot next to entrance.